Imersa is a consortium of businesses which are linked to to fulldome technologies. Their tenth yearly event is coming up at the end of February, from the 24th through the 27th. I'm going to be there and I'll be presenting my technologies to the professionals who are attending the technology talks. I'll be speaking on Monday afternoon, probably after all the other speakers, since I'll have a more complicated slide show than most of them do. There are some really talented people also taking that stage, so I hope not to look too ridiculous in comparison! 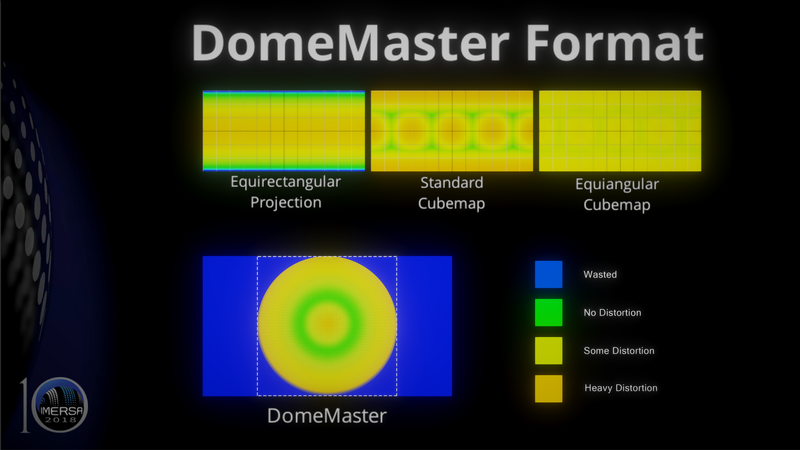 This is a slide from my talk about the efficiency of the DomeMaster format compared to various other 3D video storage mechanisms. 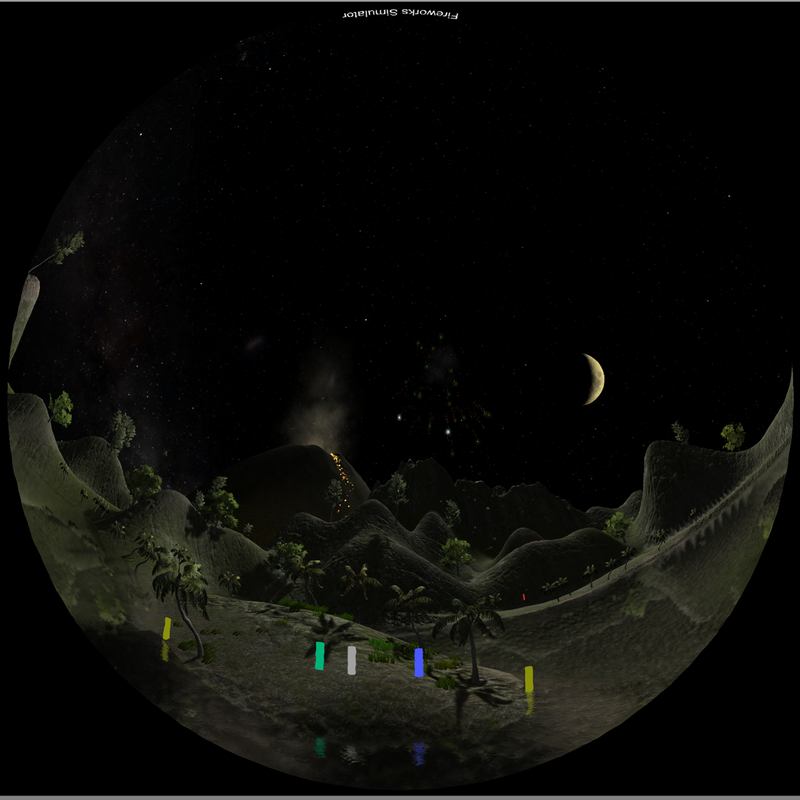 I will show examples of user interactive environments to get them thinking about how to use that in their own domes. I'd like all of them to consider adding a Dome Lab program like the one at my local museum. It would allow more creative people to build unique experiences. The core of the demonstration will be the interactive slide show I'm building. Some of the slides will feature a scene which attendees will be allowed to manipulate during the presentation. This is going to be a big technology demo, and the content is being displayed on an IMax screen behind me while I do my demonstration. Doing this sort of thing with "live visuals" is a bit of a task, so wish me luck in my presentation's various technical reaches. Sign Up or Log In to comment. Journey Through Time was created for the Fort Collins Fringe Festival and is playable in Dome Theaters. Netflix has some really annoying auto-play preview ads which they provided no option to prevent. Vistastic is a new utility I made to build a dome format media show. Build a nice spheremesh with no distortion. I made a new tool for youtube's 360 format video playback. No knowledge of coding is required, and all the tools shown in this tutorial are free to use. This is a new planetarium tool I created to play with slab fondler. The short version of this story is that I messed up.